1987-1993: Laboratory of Immunoregulation (Chief: Dr. Anthony S. Fauci), National Institute of Allergy and Infectious Diseases, National Institutes of Health (NIH), Bethesda, MD, USA. Final position: Visiting Scientist. From 1994: Head, AIDS Immunopathogenesis Unit, San Raffaele Scientific Institute, Milano, Italy. Vita-Salute San Raffaele University School of Medicine, Milano, Italy. 1992: NIH Award of Merit. From 2008: Coordinator, Basic and Applied Immunology Section, International Graduate School in Molecular Medicine, Vita-Salute San Raffaele University School of Medicine, Milano, Italy. From 2011: Coordinator, "CellDiff", Centre of Excellence of the Vita-Salute San Raffaele University School of Medicine, Milano, Italy. - Co-Chair, Subgroup "Immunological mechanisms and compartments involved", "TOWARDS AN HIV CURE": GLOBAL SCIENTIFIC STRATEGY International Working Group, Chaired by Francoise Barré-Sinoussi (Nobel Prize 2008 for the discovery of HIV) (http://www.iasociety.org/Default.aspx?pageId=559). 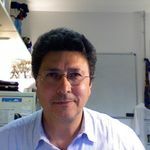 I have been involved in AIDS research since 1984 working with Alberto Mantovani on the defects of natural immunity (i.e. macrophages and NK cells) in infected individuals. I then moved to the NIH where I have been working with Tony Fauci from 1986 to 1993 and where my interest and expertise has focused on the role of cytokines as regulators of HIV expression. In these years, my main interest has been cytokine-mediated control of HIV latency in chronically infected cell lines. Several articles in prestigious journals (Science, J. Exp. Med, J. Immunol, J. Virol and others) have lead to a model where virtually every step of the virus life cycle is regulated, either positively or negatively, by cytokines or cytokine-related pathways. Returned to Italy as Head of the AIDS Immunopathogenesis Unit at the end of 1993, my resesearch interest has evolved in different directions. I have strong interest in understanding the alterations induced by HIV infection in vitro and in vivo in terms of cytokine-related signaling, with particular regard to the JAK/STAT pathway. In a very recent paper, we have demonstrated that HIV infected individuals are characterized by a constitutive activation of STAT-1 and STAT-5 in their PBMC (Blood, 94:4202, 1999) and, further, that the activated STAT-5 is predominantly a C-terminus truncated form likely acting as a transdominant negative mutant. A. Crotti, M. Lusic, R. Lupo, P.M.J. Lievens, E. Liboi, G. Della Chiara, M. Tinelli, A. Lazzarin, B.K. Patterson, M. Giacca, C. Bovolenta, & G. Poli. 2007. Naturally occurring C-terminally truncated STAT5 is a negative regulator of human immunodeficiency virus-type 1 expression. Blood, 109:5380-5389. E. Pilotti, L. Eviri, E. Vicenzi, U. Bertazzoni, M.C. Re, S. Allibardi, G. Poli, & C. Casoli. 2007. Post-genomic upregulation of CCL3L1 expression in HTLV-2 infected individuals curtails HIV-1 replication. Blood 109:1850-6. M. Alfano, S.A. Mariani, C. Elia, R. Pardi, F. Blasi, & G. Poli. 2009. Ligand-engaged urokinase-type plasminogen activator receptor (uPAR) and the CD11b/CD18 (Mac1) integrin inhibit late events of HIV expression in monocytic cells. Blood, 113:1699-1709. L. Cassetta, O. Fortunato, L. Adduce, C. Rizzi, J. Hering, P. Rovere-Querini, M.E. Bianchi, M. Alfano, & G. Poli. 2009. Extracellular HMGB1 inhibits R5 and X4 HIV-1 strains replication in mononuclear phagocytes without induction of chemokines and cytokines. AIDS, 23:567-578. E. Cassol, C. Rizzi, L. Cassetta, M. Alfano, & G. Poli. 2009. M1 and M2a polarization of human monocyte-derived macrophages inhibits HIV-1 replication by distinct mechanisms. J. Immunol. 182: 6237-6246. M. Alfano, G. Poli, & S. T. Rossouw. 2010. Persistent microbial translocation and immune activation in HIV-1-infected South Africans receiving combination antiretroviral therapy. J. Inf. Dis. 202:723-33. Kajaste-Rudnitski, S.S. Marelli, C. Pultrone, T. Pertel, P.D. Uchil, N. Mechti, W. Mothes, G. Poli, J. Luban, & E. Vicenzi. 2011. TRIM22 inhibits HIV-1 transcription independently of its E3-ubiquitin ligase activity, Tat and NF-kB Responsive LTR elements. J. Virology, 85:5183-96. G. Della Chiara, A. Crotti, E. Liboi, M. Giacca, G. Poli, & M. Lusic. 2011. Negative regulation of HIV-1 transcription by a heterodimeric NF-KappaB1 p50 and C-terminally truncated STAT5 complex. J. Mol. Biol., in press. M. Alfano, A. Crotti, E. Vicenzi, & G. Poli. 2008. New players in cytokine control of HIV infection. Current HIV/AIDS Report, 5:27-32. E. Cassol, L. Cassetta, C. Rizzi, M. Alfano, & G. Poli. 2010. Macrophage polarization and HIV-1 infection. J. Leuk. Biol., 87:599-608. G. Poli & V. Erfle. Pathogenesis of Immunodeficiency virus infections. In: "Retroviruses: Molecular Microbiology and Genomics" (Eds. Reinhard Kurth and Norbert Bannert), Caister Academic Press, Norfolk, U.K. pp.269-283, 2010. S.A. Mariani, E. Vicenzi & G. Poli. 2011. Asymmetric HIV-1 co-receptor use and replication in CD4+ T lymphocytes. J. Transl. Med., Jan 27;9 Suppl 1:S8. disease progression. Viral controllers and long term non-progressors. Future Virology, 6(4): 521-533. G. Poli. 2011. Old and new plasma biomarkers in HIV-1 infected African-American women. AIDS (Editorial Comment), in press. Mononuclear phagocytes are an important target of HIV infection and replication. characterize viral transcription, protein expression, and living cell imaging. myeloid cell lines as targets of HIV-1 replication and persistence. J. Leuk. Biol. mechanisms. J. Immunol., 182: 6237-6246, 2009. HIV-1 infection. J. Leuk. Biol., 87:599-608, 2010.
dualtropic R5X4 strains). Thus, R5 viruses have an evolutionary advantage vs.
activating signals (E. Vicenzi et al., J. Virol. 1999). clones differing only for their chemokine co-receptor use (CCR5 or CXCR4). described pattern of R5-skewed replication. cells, with similar results (S.A. Mariani et al., in preparation). determined in the original cord blood based model described above. absence of T-cell receptor restimulation. J. Virol. 73:7515-7523, 1999.
in Th1 CD4+ T cells. J. Leuk. Biol., 72:913-920, 2002. CD4+ T lymphocytes. J. Transl. Res., 2010, in press.